Creating new pieces for a solo show in January 2018. 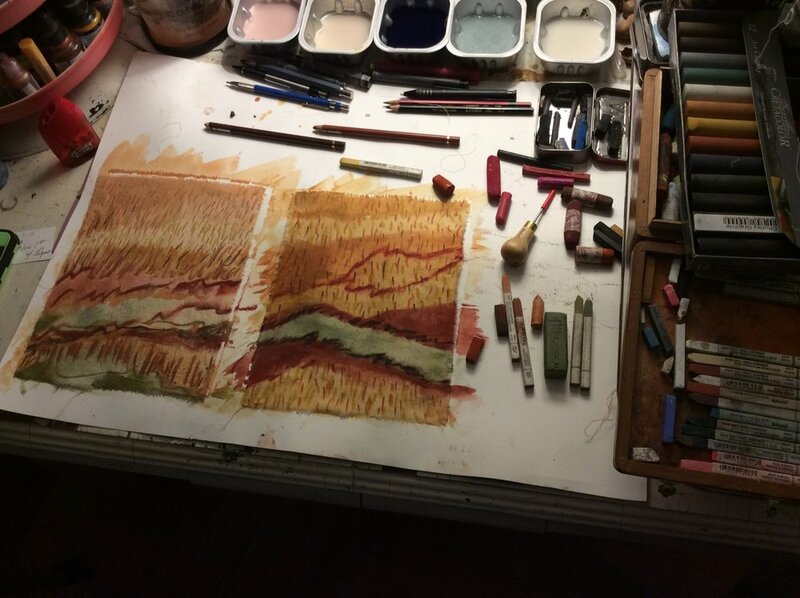 Earth pigments, clays, ochres, charcoal, conte, pastels, on cotton fabric. Older PostHuge Labor Day Sale!! !